Ukraine will buy Russia's gas at market price within the next three years. The agreement was reached during the meeting between Ukrainian prime minister, Yulia Timoshenko and her Russian counterpart, Vladimir Putin. It will lay the basis for the agreement between Russia's gas giant Gazprom and its partner in Ukraine, Naftogas. “I think we have every opportunity and reason to come to a strategic agreement about market prices and the gradual transition of gas. I think it'll lay a solid foundation for relationships and will not lead to instability. Europe needs it; Russia and Ukraine need it too,” Timoshenko said. Currently, Russia exports gas at $US 500 per 1,000 cubic metres, but Ukraine pays less than half that amount. “We have agreed a draft deal which could lay the basis for the agreement between Russia's Gazprom and its Ukrainian partner, Naftogaz. Though our countries have disagreements in political affairs, in the economic sphere we have very good records. Our trade turnover is always on the rise,” Vladimir Putin said. But Russia's PM said he's concerned by Ukraine's gas transportation system. He added that Russia will meet commitments on natural gas exports to Europe regardless of Ukraine. Timoshenko also said that Ukraine will fully support Moscow's bid to join the World Trade Organisation. “I'd like to confirm our position once again that Ukraine will fully support Russia's bid to join the World Trade Organisation. We'll do everything possible for you to become members of the WTO,” she said. The start of Yulia Timoshenko’s visit to Moscow has not been trouble free, as she's been forced to fly charter to the Russian capital. The state plane ‘Ukraine’ originally intended for her flight was 'suddenly needed' by President Yushchenko for his trip to the city of Lvov in the west of the country. According to the Ukrainian President’s press secretary, Irina Vannikova, his presidential plane made an emergency landing in Kiev’s Borispol airport. It had been aloft for 20 minutes, but then landed due to ‘technical failures’. Yushchenko then laid claim to the back-up plane 'Ukraine'. Yulia Timoshenko has arrived in Moscow on a ‘small plane’ accompanied by Oleg Dubina, the head of the board of directors of the national stock company ‘Naftogaz of Ukraine’. Yulia Timoshenko didn't find out about the change in her travel plans until she reached the airport. “We’re trying to find chartered flights to get to Moscow somehow,” Yulia Timoshenko told the Ukrainian media, adding she hadn't been informed about the changes. Responding to the developments, Yushchenko’s administration claimed he didn’t take Timoshenko’s plane. He just used a back-up air liner as his primary plane appeared to be disabled. As a result, the whole government delegation which was supposed to accompany Timoshenko to Moscow has been separated from her. The two planes onboard which they were due to fly are still in Ukraine, and most probably the delegation won’t be in time to attend the Putin-Timoshenko meeting on Thursday, according to Timoshenko’s spokesperson Marina Soroka. It is believed that in visiting Putin, Timoshenko has another aim in mind, namely securing Russia’s support ahead of the upcoming presidential election. Viktor Yushchenko has repeatedly called on the government to settle the gas issues as soon as possible. 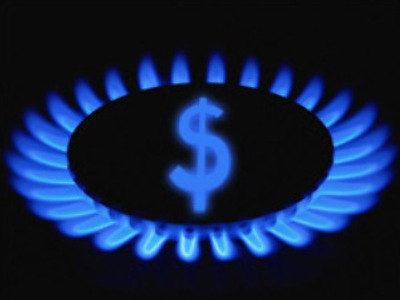 Now Kiev wants to secure a long-term agreement for gas to be supplied at market prices. However, the gist of the issue is that Yushchenko and Timoshenko are locked in a political stand-off at home, and despite the latter's efforts to keep the coalition together, it fell apart earlier this month due to rivalry ahead of next year’s presidential vote. The two potential candidates now appear to be seeking support from outside and it seems both sides have already made their choice. “The subject of gas supplies for 2009 and the years to follow will not be a priority on the agenda of Ukrainian Prime Minister Yulia Timoshenko during her visit to Moscow. The main point on Yulia Timoshenko’s agenda is to receive the political blessing from the Kremlin. Everything else, including gas contracts and agreements, will follow,” said Andrey Kislinsky, Deputy Head of the Ukrainian Presidential Secretariat. Timoshenko has already made some overtures towards the Kremlin when meeting Vladimir Putin in June. “We’d like to have good, balanced and harmonic relations with Russia and we’ll try our best to implement that,” Yulia Timoshenko said. And it’s clear the feeling is mutual. “We are totally at your disposal on any issue,” Vladimir Putin responded. Yulia Timoshenko is in Moscow just days after her major political rival was warmly welcomed in the Oval Office in Washington. “I admire your steadfast support for democratic values and principles. We strongly support your democracy. We look forward to working with you to strengthen that democracy,” George W. Bush told Yushchenko. Bush and Yushchenko said they discussed a range of issues including Ukraine’s NATO membership – a subject that divides Ukraine. Despite looking towards the U.S., the Ukrainian President isn’t pushing Russia aside either. On Wednesday Yushchenko announced that a ten-year old Russia-Ukraine Treaty on Friendship, Cooperation and Partnership had been extended for another decade.